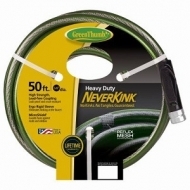 Green Thumb, 5/8" x 50', NeverKink, heavy duty garden hose. Green with exclusive reinforcement view stripe. Self straightening. NTS technology guarantees no kinks or tangles. Microshield anti-microbial protection against mold & mildew. 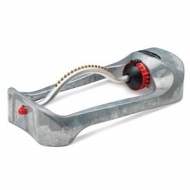 Lead Free Aluminum Couplings - Crush Resistant to 1,200 Lbs. PSI. Rigid Ergonomic Protective Collar. Lifetime Warranty. 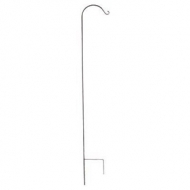 Ideal for holding hanging planters. Black, forged steel. 84" height. Feeds for up to 6 months. With MicroMax nutrients for hearty, vigorous plants with richer more vibrant colors. 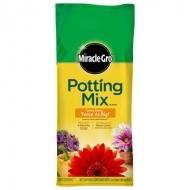 Blend of rich ingredients with Miracle-Gro Continuous Release Plant Food. Convenient and easy, contains a complete feeding package for container plants to thrive and flourish. 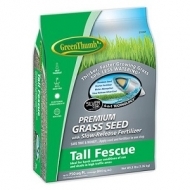 Green Thumb Premium Coated Tall Fescue Grass Seed, 3-Lbs. 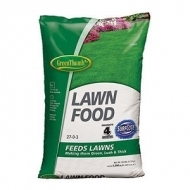 Green Thumb® premium coated tall fescue - drought-hardy for transitional & south. 3 lb. coverage: 750 sq ft. 2% "houndog 6 " turf-type tall fescue, 18% garrison turf-type tall fescue,10% "jamboree" turf-type tall fescue, 50% silvercoat™ water-holding with fertilizer technology coating material. Green Thumb Premium Coated Sun/Shade Grass Seed, 3-Lbs. Green Thumb® 3 lb, premium coated sun & shade seed, 1200 sqft coverage, 17% esquire turf type perennial ryegrass, 6% evora kentucky bluegrass, 4% longfellow 3 chewings fescue, 11% aspire turf type perennial ryegrass, 12% chantilly creeping red fescue, 50% silvercoat water holding with fertilizer technology coating material. 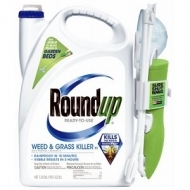 Roundup, 1.33 gallon, ready to use, weed & grass killer, shot wand, kills existing weeds & grasses to the root, protective shield fits over weeds to contain spray & help protect desirable plants, use in & around vegetable gardens, flower beds, tree rings & mulched beds, as well as on cracks in driveways, walkways & patios, rainproof in 10 minutes, visible results in 3 hours. Covers up to 3,500 sq. ft. and features spray tube with 17 brass jet, easy-to-use rotation dials, efficient twin turbo motor, ergonomically designed connecting nut and jet tip cleaner. Operates at high or low pressures. Motor design resists clogs. Directional reversing without lag. 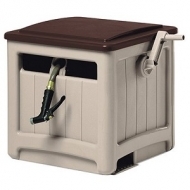 Smart Trak Hideaway Hose Reel that holds 225-Ft. of 5/8" hose. Automatically guides hose neatly onto reel. Green Thumb Watering Can, Vintage-Style, 2-Gal. 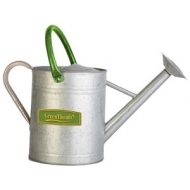 2 gallon, vintage galvanized watering can, with green thumb logo, vintage look of mottled gray hues features contrasting painted accents, angled spout, 4" diameter diffuser included for a more gentle water flow, steel construction. Designed to help protect your lawn and landscape, the Spectracide Triazicide Insect Killer For Lawns & Landscapes Concentrate features a fast-acting formula that kills over 260 listed insects by contact. 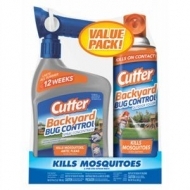 Up to 3 months control of pests: house crickets, carpenter ants, harvester ants, ladybeetles and earwigs. 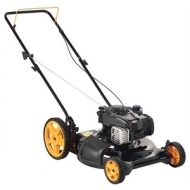 It is ideal for use on lawns and landscapes. 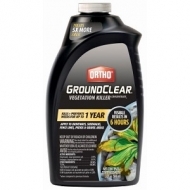 It is formulated for broad-spectrum control of insects in lawns, vegetables, fruit & nut trees, roses, flowers, trees and shrubs. 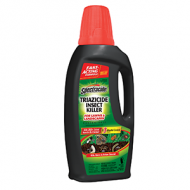 Spectracide Triazicide Insect Killer for Lawns & Landscapes Concentrate Ready-to-Spray, 32-oz. 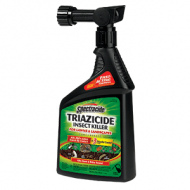 Designed to help protect your lawn and landscape, the Spectracide Triazicide Insect Killer For Lawns & Landscapes Concentrate (Ready-to-Spray) features a fast-acting formula that kills over 260 listed insects by contact. Up to 3 month control of pests: house crickets, carpenter ants, harvester ants, ladybeetles and earwigs. It is ideal for use on lawns and landscapes. It is formulated for broad-spectrum control of insects in lawns, vegetables, fruit & nut trees, roses, flowers, trees and shrubs. 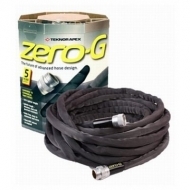 Zero-G 50' gray garden hose. Lightweight, kink-free, flexible. Strong fiber outer sleeve. Flow rate equivalent to 5/8" conventional hose. Drinking water safe. Ergonomic, crush resistant couplings. Patented design for easy handling & storage. 5 year warranty. 6 CU. FT. Wheelbarrow. 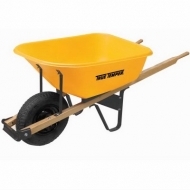 Polyethelyne tray, 16" x 4" pneumatic tubed, 2-ply rated tire. Wheel size 8", oil lube bearings. Wood handles. 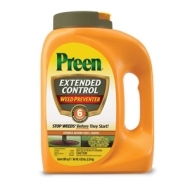 Controls Aphids, Japanese Beetles (adult), Leafminers, Whiteflies and other listed pests. Promotes strong roots and beautiful blooms. Rainproof insect protection lasts up to 8 weeks. 5 lb. 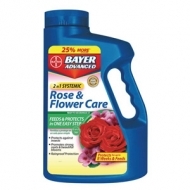 bottle treats up to 40 rose bushes. 5 lbs. 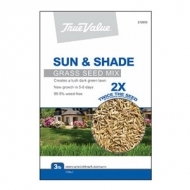 Sun & Shade grass seed is a mixture of improved tblue grasses, fine fescues & Ryegrasses. Coverage: New lawns = 1,200 sq. ft.. Over seeding = 2,400 sq. ft.. High quality PET/Poly bag. 3 lbs. 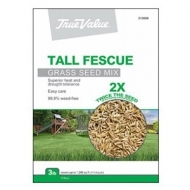 Tall Fescue grass seed blend for transitional zones & south. A mixture of improved turf type tall Fescues. Coverage: New lawns = 750 sq. ft.. Over seeding = 1,500 sq. ft.. High quality PET/Poly bag. 3 lbs. 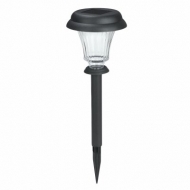 8 pack, 2 lumen, black finish, solar pathway light. Plastic construction & clear ribbed plastic lens, powered by amorphous solar panel with photocell control. Turns on automatically at dark & off at dawn. Weatherproof design, bright white dip led, 4500-5600k color temperature. Each light uses one 150 mah aa ni-cd solar rechargeable battery, included. 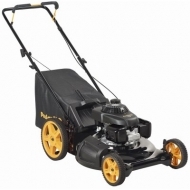 Poulan Pro, 3-n-1, push lawn mower, 160 cc Honda gcv160 ohv engine, 6.9 ftlb gross torque rating, 21" stamped steel deck, side discharge/rear bag/mulch capable, 8" front & 11" rear wheels, 5 position fingertip height adjusters, fully assembled with folding handles, grass bag & engine oil included in carton, epa/california carb compliant, for replacement blade use tv #503674, 2 year limited warranty.